This system was created because sometimes students and parents just need a brief overview of what to do in order to position themselves or their students as a college ready graduate. The Bronze SOS is designed for self-starters and motivated students who simply need a little encouragement in the right direction and a gentle push toward the things necessary to succeed in college. This system was also created with younger students in mind. This program is not for students who are close to graduation. 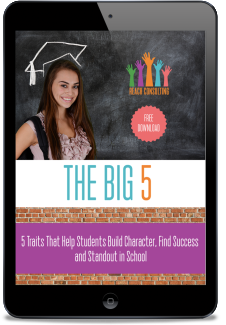 It solves the problem of what can I do in the lower grade levels (6th - 9th grade) to begin preparing to be the best student candidate for college. This program solves the problem of being too busy doing the wrong things as a student enters high school. Sometimes students get overwhelmed by the many options available to them in high school and either make the wrong decision to do too many activities with no end goal in mind or they do nothing and have no activities that have meaning toward college admission. And... her e-workbook to help you plan out your high school career and involvement in activities that can maximize your experiences. Who is not for: Juniors and Seniors.